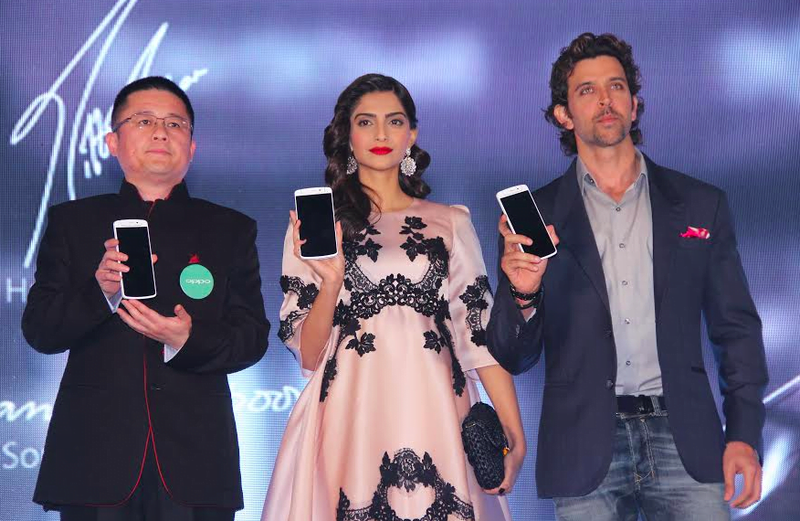 OPPO Mobile today launched its flagship product, OPPO N1, the first device from its N-Lens series, in the presence of OPPO’s India brand ambassadors, Hrithik Roshan and Sonam Kapoor. The handset, which redefines smartphone photography, has been priced at Rs. 39,999. In the first stage of its operations in India, the handset major will cover twelve cities, which include Delhi, Mumbai, Kolkata, Chennai, Bangalore, Hyderabad, Pune, Ahmedabad, Lucknow, Chandigarh, Jaipur and Ludhiana, through a strong dealership network. The flagship N1 handset pushes the boundaries of the aspirational smartphone with its unique technology, content, design and high quality and an impressive and innovative user interface. OPPO slowly continues to expand globally, with a clear focus on increasing brand awareness and recognition. With the groundbreaking OPPO N1, the large screen, rotating camera, rear touch panel, and incredible design come together to create a whole new smartphone experience. The phone allows one to capture breathtaking and vividly realistic images and comes with Pure Image, a hardware and software photography solution. Keeping in mind the requirements of today’s society, the handsets are available with 16GB or 32GB internal storage.